Terri from Mellow Moments emailed me a few days ago and recommended Viner Sound as an anchorage (among other places…too many to visit in just a week!) so I figured I’d check it out. 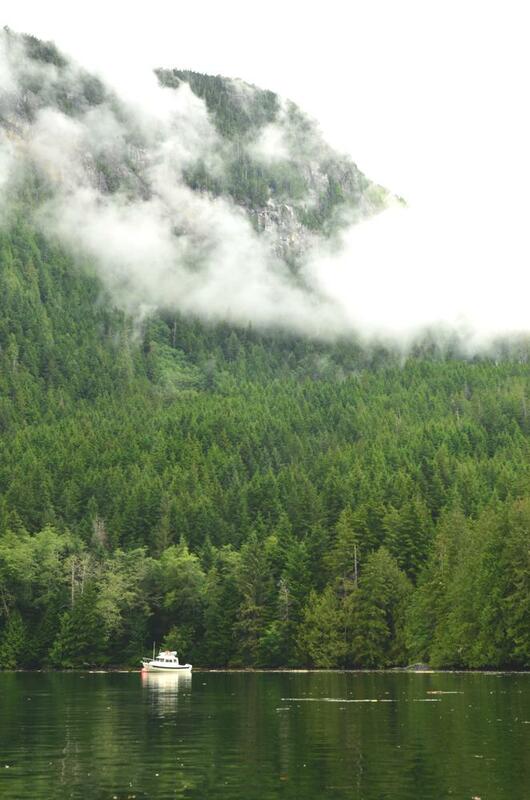 After breakfast and pulling the anchor I cruised over to Viner Sound at displacement speed. I passed through the Burdwood Group, which would be a marvelous small boat anchorage. 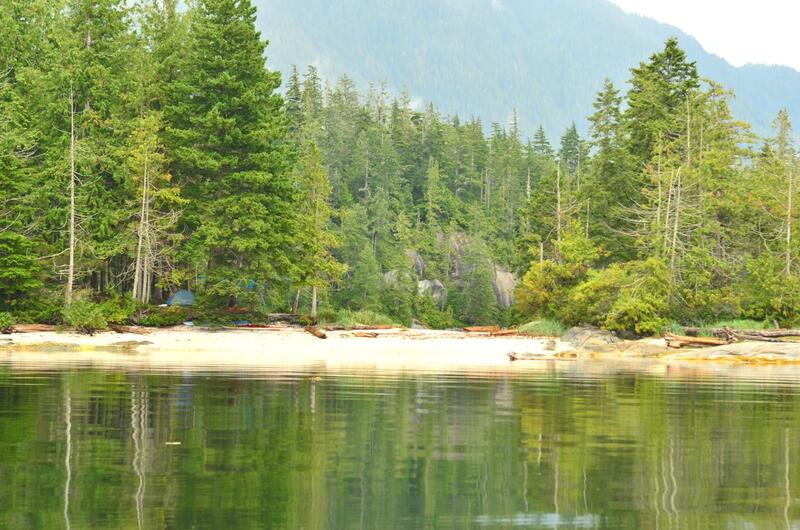 A couple of kayakers were camped ashore in one spot, and they’d chosen well. A nice beach was right in front of their tent and the views were gorgeous. I almost dropped the hook and joined them. Alas, I continued to Viner Sound, and I’m glad I did. A huge mountain rises at least a few thousand feet from the anchorage (actually, there are two mooring buoys to use). A lagoon offers great kayaking. 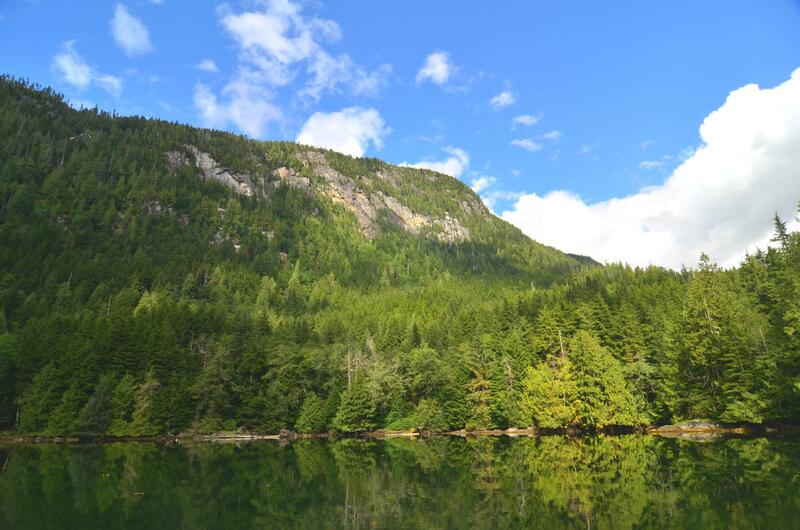 Another BC Forest Service campground provides onshore accommodations. 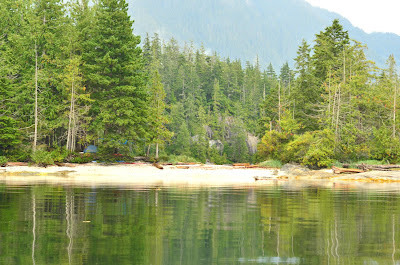 I took advantage of several sunbreaks to paddle around the are rather extensively and had a great time. Around 5:30, however, the rain came back with a vengeance. In the space of just a few minutes, it went from partly sunny to pouring and windy. The wind didn’t last long, but the rain continued for many hours. I’m glad I wasn’t out in the kayak when it all started!